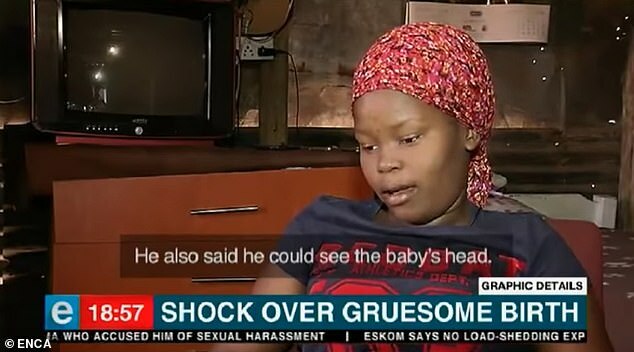 A pregnant woman was horrified when she gave birth to a decapitated baby whose body remained inside. 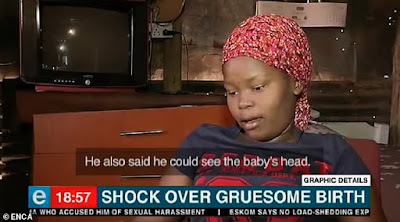 Kagiso Kgatla, 19, who was six months pregnant and expecting her first child, watched in terror as the baby's severed head came out. She then reportedly had to wait another 24 hours before the rest of the baby's body was delivered. The teenager is now set to sue the Tambo Memorial Hospital in Boksburg, South Africa, where she suffered the gruesome ordeal. Speaking to South African broadcaster eNCA, she said: 'I am not okay. I am not coping at all. A doctor came and said I should push. I pushed and pushed, nothing. He inserted his hands and said I should try again but still there was nothing. 'He also said he could see the baby's head. Then he asked for those big spoons. 'That's when my baby's head came out, but only the head. The body remained inside. 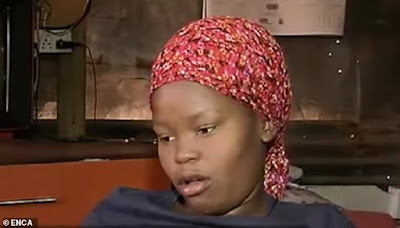 Ms Kgatla said medics had warned her that her baby was likely to suffer from some abnormalities. But she had said she was willing to care for the child despite the predicted 'difficulties'. 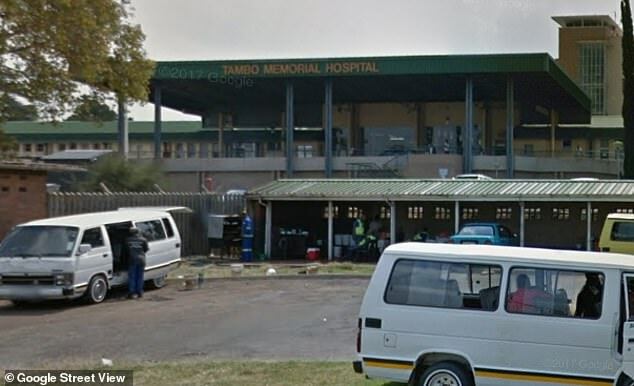 Hospital officials have reportedly insisted they told the mother that her baby had only a 'very small chance' of living. The hospital's head of obstetrics, Dr Gilbert Anyetei, said: 'Normally, when the head is not crowning we assist. We call it assisted delivery. A similar case occurred in the UK in 2014 when Laura Gallazzi lost her baby son at 25 weeks pregnant. Ms Gallazzi's baby’s head became trapped during the birth at a Dundee hospital and then became 'detached from his body'. In that case Dr Vaishnavy Laxman, 43, was found to have made an 'error of judgment' after a tribunal revealed she should have given the 30-year old patient an emergency Caesarean section. She instead attempted to carry out the delivery naturally and urged the patient to push whilst herself applying traction to the baby's legs. However a tribunal cleared Dr Laxman of misconduct and said her fitness to practise was not impaired.